Wizard Dojo – Page 106 – A wizard is never late, nor is he early. He reviews stuff precisely when he means to. I tried to avoid making a self-aggrandizing blog such as this, but in the end I caved into the temptation. I just had to celebrate this milestone in some capacity. What better way to do that then with a blog that basically just reiterates this milestone again and again? Wizard Dojo has now reached the 100 blog mark, which I must admit I’m a bit proud of considering I only launched this site back on Christmas day. Sure, there are plenty of blogs that have done more, but with how long-winded my writings tend to be, I’m perfectly content in giving myself a pat on the back for how many blogs I’ve managed to produce in that time. Why, I may have to give myself a promotion! Sure, I’d rather be taking the time it takes to write this blog to write another review or something, but I must let the world know that Wizard Dojo is now in the triple digits! It’s a cause for celebration. Rest assured that after I’ve finished this blog, my reviews and opinionated rants on video games, movies and animation will once again take center stage here at the dojo. Then everything will go back to being (relatively) serious. But for now… 100 blogs! I guess I could also take this opportunity to thank my growing readership, which has quickly started gaining steam. May more of you figure out how to click that Follow Button. Over the past few months I’ve tried to update this site as often as possible. It hasn’t been easy, but hopefully I’ve amused some of you in one way or another with all this stuff I write. I must say I enjoy adding more content to Wizard Dojo, so it isn’t exactly like reaching 100 blogs has been a chore or anything. May it continue to flourish. Here’s hoping I can continue to provide you lovely people with something to read. Now let’s all take a moment to celebrate 100 blogs. Once again, I thank you kind readers for giving me some extra incentive to keep writing these things. I would also like to thank myself, because 100 blogs! Here’s to many, many hundreds more. Thanks for reading! Author themancalledscottPosted on May 6, 2015 Categories UncategorizedTags Wizard Dojo2 Comments on 100th Blog Spectacular! When it comes to influential video games, there aren’t many that can match Super Mario Kart. This 1992 SNES classic not only created the kart-racing subgenre, it also helped shape multiplayer and party games from that point forward. Mario had appeared in games other than platformers before Super Mario Kart, but it is the game that made Mario spinoffs a ‘thing.’ Suffice to say it had an impact. Despite its influence, the sheer fun and replay value that Super Mario Kart brought to the table is what has helped it endure. Its sequels may have added to the formula, but the original Super Mario Kart remains an impressive game even today on the Wii U. 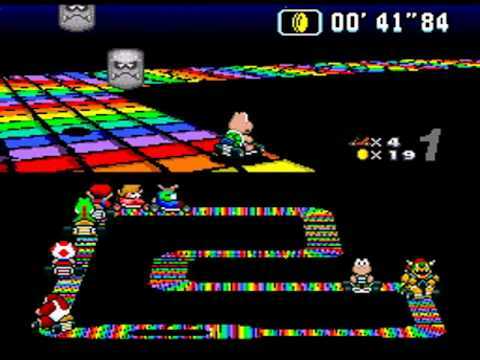 Being the first entry in the long-standing series, Super Mario Kart represents Mario Kart in its purest form. It lacks the bells and whistles of subsequent entries, but in many ways it’s just as fun. 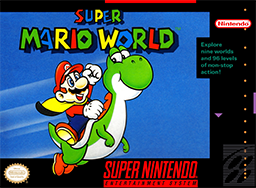 Players can take control of one of eight classic Mario characters: Mario and Luigi are well-balanced, the Princess and Yoshi have high acceleration, Toad and Koopa Troopa have better maneuverability, and Bowser and Donkey Kong Jr. have the highest max speed. 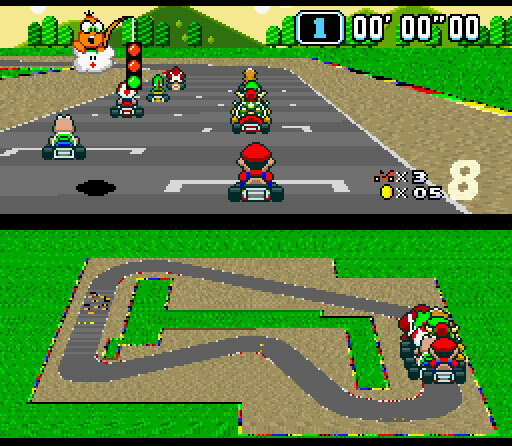 The tracks in Super Mario Kart are considerably shorter than later entries (they are downright bite-size by today’s standards), but they are smartly designed. Items like banana peels and Koopa shells made their debut here, but they are much more limited than in subsequent games. It’s the tracks themselves that provide the real challenge, as they host a variety of obstacles that will test players’ racing skills. Super Mario Kart is still fun to play, though the gameplay isn’t quite so smooth as its modern descendants. Sharp turns will often lead to spinouts, and steering in general feels less fluid than today’s Mario Kart. But when considering this was the pioneer of the genre, it’s a pleasant surprise that it still works as well as it does. The game made use of the SNES’ “Mode 7” graphics, meaning that scaling and rotation were used on the game’s environments to give a more immersive, three-dimensional effect. It still works for the most part, and it’s pretty impressive how Nintendo used such simple effects to create such a precise racer. Though some of the rotation may prove a little dizzying for the uninitiated. 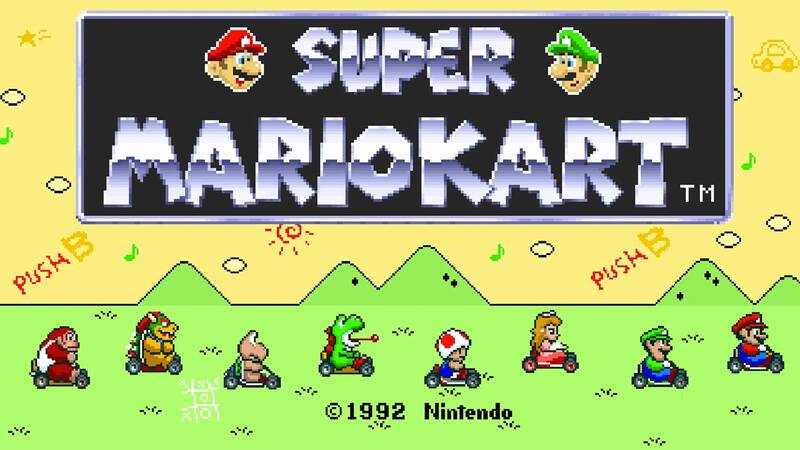 Super Mario Kart features four different modes: Grand Prix sees one or two players take on a host of computer-controlled characters in a series of races. Time Trial is one-player only, where racers try to beat their best times without the use of items. Vs. Mode is a one-on-one race between two players. Finally, Battle Mode remains one of the game’s highlight, where two players face each other in an arena and must use items to pop each others balloons. The player who pops all of his opponents balloons wins. Although these game modes are simple, they provide a strong sense of fun and remain addictive, making Super Mario Kart an easy game to return to. One downside is that, even when playing in single player mode, you are still playing within a split screen. Due to the game’s emphasis on multiplayer and technical limitations of the time, Nintendo had to leave the split screen present throughout. It may have had its reasons, but the limited screen space can become a bit of a distraction. Super Mario Kart, although no longer the best entry in the series, remains a very fun and engaging title that is worthy of a revisit on the Wii U. It was a brilliantly realized concept that revolutionized multiplayer games and turned the Super Mario series into a more versatile franchise. Some of the technical issues are showing their age, but the experience is still a blast. A Liebster Award Winner is Me! I was pleasantly surprised to find out I had been nominated to receive a lobster (them’s good eats! 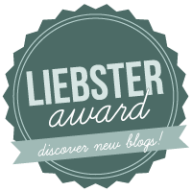 ), and then marginally disheartened but still pleasantly surprised to learn that I had misread the information, and I am indeed the recipient of a “Liebster.” As it turns out, the Liebster Award is given from one blogger to another, to recognize the growing potential of a blog. An appreciation kind of thing. I would like to give a thousand thanks to Matt from Nintendobound (an exceptional Nintendo blog) for selecting me for this award. Can we give him a round of applause, please? Of course, receiving this award comes with a catch means I have to do three things: Firstly, I have to answer the eleven questions that were asked of me in my nomination. Second, I must list eleven facts about myself (because I’m so interesting). And C, I must nominate some fellow bloggers and ask them eleven questions of my choosing. I like to think this gives me power. 1: What is the best trip you have ever taken? It’s hard to say a singular best, but last year I did visit Walt Disney World for the first time, and it was magical. 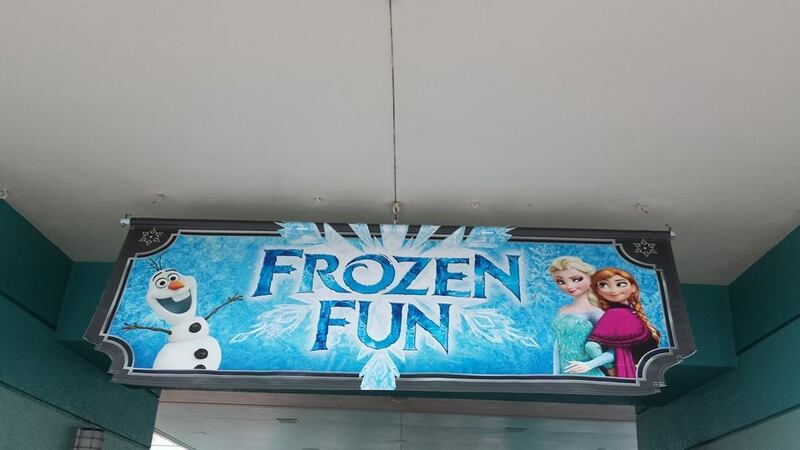 It was during the Summer, and they had just started their Frozen Summer Fun event. Being completely obsessed with Frozen, this made everything that much better. I’m hoping to go again once the Frozen Ride opens at Epcot, in which case I will shove children out of my way to be the first in line. I’ve been a lifelong fan of Disneyland, but Walt Disney World is just so much more. 2: What are your three favorite movies? Geez! Asking this big of a question right out of the gate?! Not fair! And why three? Why not five, or ten?! My list of favorites wouldn’t include the usual checklist of Godfathers and Citizen Kanes. Those are great movies, but they are movies I “respect” and “admire” for their greatness, but not ones that I can claim to love in the way I love my favorite movies. There are so many great movies out there that I’ll always feel bad for leaving some out. 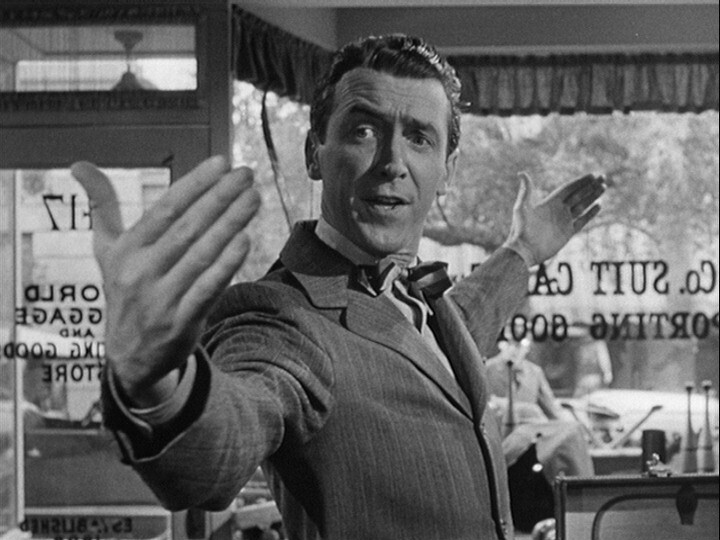 Some movies I ‘love’ would include It’s a Wonderful Life, Schindler’s List (that ending! ), The Good, The Bad and The Ugly, The Empire Strikes Back, Raiders of the Lost Ark, Back to the Future, Terminator 2: Judgement Day, Spider-Man 2, the Toy Story series and, of course, The Dark Knight. But when it comes to the movies I love most, they tend to be animated. More specifically, they tend to be animated by Studio Ghibli and directed by Hayao Miyazaki. 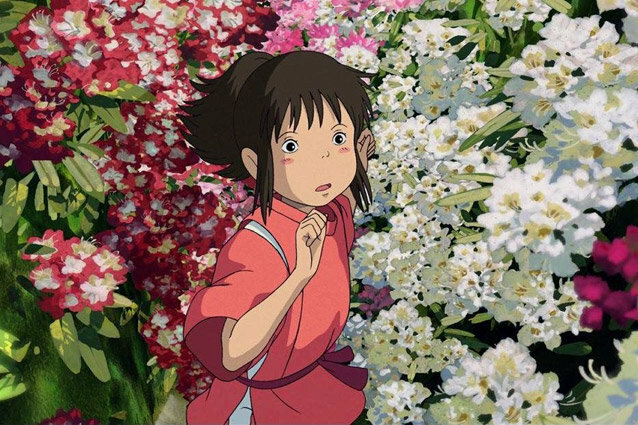 While I could list pretty much any and every Miyazaki film (Porco Rosso, Ponyo, the list goes on), I think two stand out most for their personal impact on me: My Neighbor Totoro and Spirited Away. So there’s two right there. As for the third one, the top contenders would be The Lord of the Rings: The Return of the King, The Incredibles, Who Framed Roger Rabbit, and Frozen. It’s a tough choice, but in the end I’m going with…..
And no, I’m not a 12-year old girl. But I’d be lying if I said I didn’t absolutely fall in love with this movie. I could go on and on about why I love it so much (and I will. Oh, I will), but for now I will simply say it deserves all of its success. So there you go, my answer (for now) for my three favorite movies. Who Framed Roger Rabbit, Return of the King and The Incredibles would probably follow…along with another Miyazaki film. It’s a hard question! One day I will go way more in-depth with all of this. 3: What game does everyone seem to like that you don’t? There are games I think are overrated, such as Final Fantasy VII or Skyrim, but I can acknowledge that they are good games with plenty of merit, I just don’t think they live up to the hype for one reason or another. But I outright think Bioshock Infinite is a bad game. The gameplay couldn’t be more basic, the storyline couldn’t be more self-insistent, the social commentary couldn’t be more shoehorned, I could go on. It is utterly void of genuine creativity and inspiration. People call it art only because it (arrogantly) calls itself art. 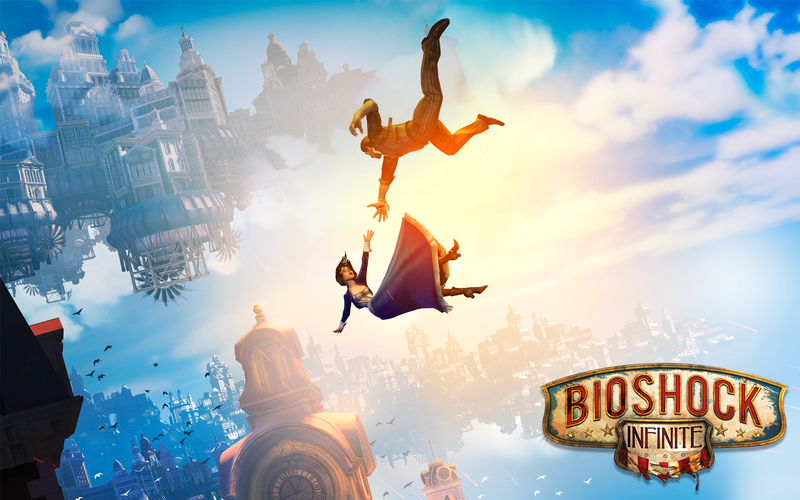 Bioshock Infinite is a bland game with a poorly contrived narrative, but it couldn’t have a higher opinion of itself. 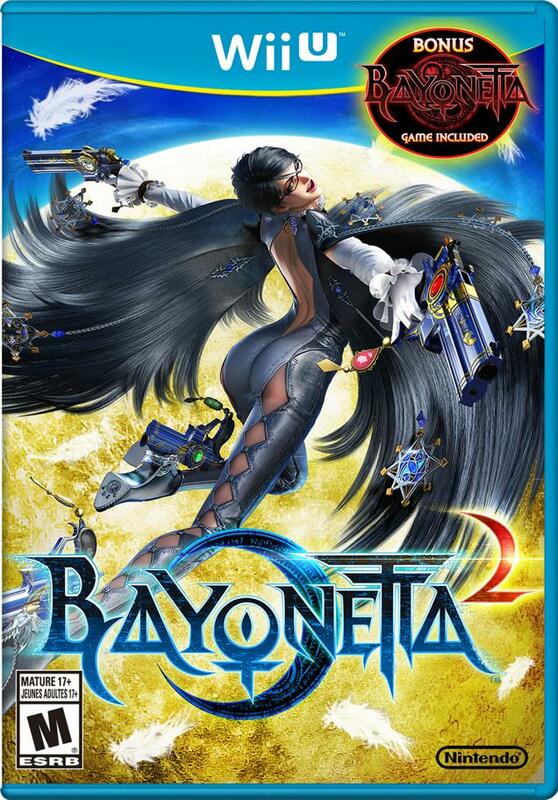 4: What game do you like but everyone else seems to hate? 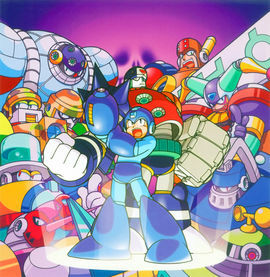 Yes, the voice acting is the stuff of nightmares (or comedy gold, depending on how you look at it), and the Robot Masters are a bit goofy (I like Sword Man though), but overall I think it’s one of the best Mega Man games. I’m not about to argue it’s as great as Mega Man 2 or anything, but it is one of the few entries in the series that stands out from the others. Not just because of the vibrant visuals, but it also had moments like the on-rail shooter in Tengu Man’s stage and the notorious “Jump jump, slide slide” segments in Frost Man’s stage and Dr. Wily’s castle. It’s not perfect, but I think it is a lot more fun than it gets credit for. 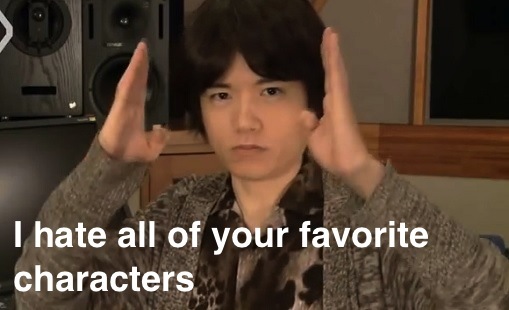 5: What characters should be added to the next Super Smash Bros. installment? 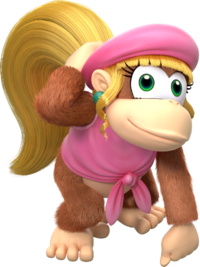 Dixie Kong should have already been in the series by this point. We have three freaking Kid Icarus rejects but only two Donkey Kong characters? That’s just dumb. Other top choices include Fawful, King K. Rool and Paper Mario (not a clone). 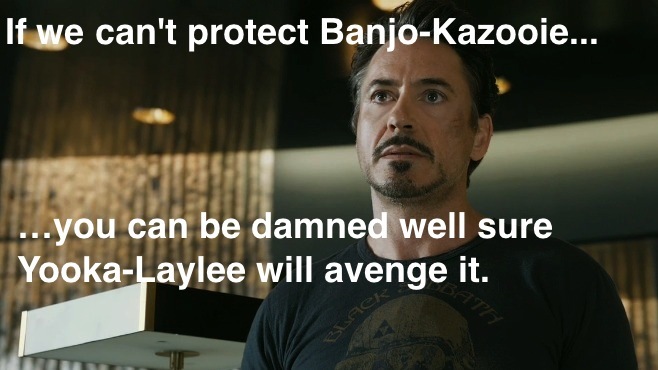 I would also love to see Banjo-Kazooie, but that could be complicated with all the legalities. 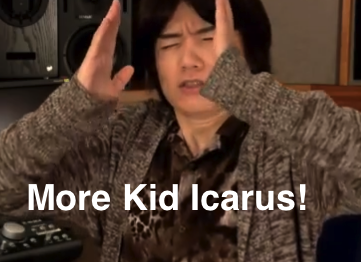 Anyone makes more sense than freaking Dark Pit though. 6: What long-gone gaming franchise needs to be resurrected? Instead, I’ll list Ristar! Seriously, only one game. One. There just seems like there’s so much missed potential with Ristar as a franchise. Just imagine him reimagined today, in glorious HD. They could build on the core concepts of the original game, while making a brand new experience. Oh wait, does Super Mario RPG count as its own franchise? Because that needs a sequel as well! 7: What long-standing gaming franchise needs to go? I hate to say it since this series was a big part of my childhood, but it has to be Sonic the Hedgehog. Now, I’m not saying the series has to die completely, but Sonic definitely needs to go for a good while. Sure, Sonic Generations was good, but it’s surrounded and outnumbered by so many awful titles from the once-great series, that Sonic has become an absolute joke. The series just isn’t what it once was at all. Too many bugs, too many unthought out elements, and just too many dang characters! 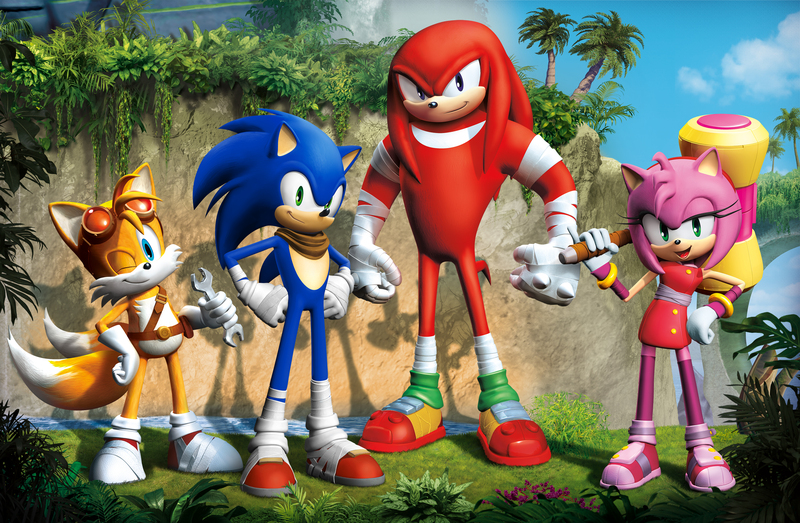 Message to Sega: You don’t need to introduce more dumb animal characters with every new entry! Sega needs to either go back to basics (but do it better than Sonic the Hedgehog 4) or let the series go away for a while, and maybe people might actually want to see Sonic in another game. 8: What job would you never take? Anything that involves going into a sewer, I suppose. 9: What would be your reaction if extraterrestrial beings made contact with us? I’d probably think it’d be pretty cool. If they were friendly enough I may want to see how well they take to Mario Kart. 10: What is your favorite video game song? It’s a hard choice, as I consider myself something of a connoisseur of video game music. There are so many great gaming soundtracks. Super Mario RPG, Donkey Kong Country, Super Mario Galaxy, Chrono Trigger, Secret of Mana, Banjo-Kazooie, Shadow of the Colossus, Nights, just to name a few. What is it with me and snow? Anyway, In a Snow-Bound Land is absolutely beautiful. It’s atmospheric, emotional, and it captures my imagination every time I hear it. 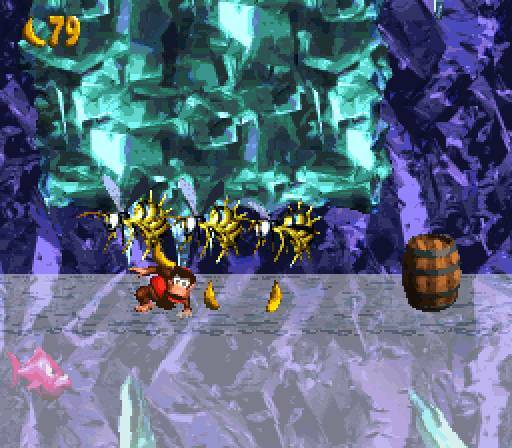 It also continues DKC2’s brilliant trend of including the most soothing and beautiful music on the most difficult levels (one of the game’s many subtle works of genius). It’s simply captivating. 11: Will you forbid your children to play video games whose ratings are not appropriate for their age? Of course. A ten-year old shouldn’t be playing Grand Theft Auto. Simple as that. There are plenty of great games for them to enjoy as kids, they can wait to play the more violent stuff. Now for some random facts about me. 1: I can whistle pretty darn well. “Like a freaking bird” I’ve been told. * I can often be heard whistling various video game songs. I’m not quite Walter from The Muppets, but I’m getting there. *Has never actually been told this. 2: I don’t drink, smoke, or do drugs. Unless Dr. Pepper counts, in which case just inject it into my veins! 3: I attended E3 every year from 2009 to 2014, fulfilling one of my dreams as a kid. I got to play some awesome games before most people! 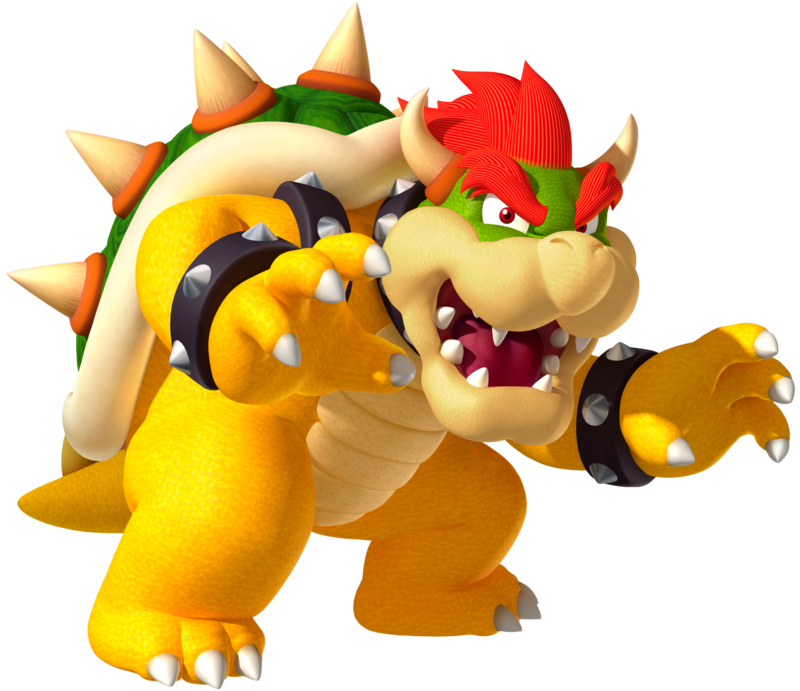 4: My favorite video game character is Bowser. The King Koopa is just too cool, and he never gives up. He gets knocked down and he keeps on keeping on. He’s an inspiration. 5: Whenever I’m not watching movies, playing video games, writing about those movies and video games, or dealing with that annoying thing called “real life,” I enjoy drawing and creative writing. I’m not going to brag about my abilities, but at least I do my own stuff. 6: My favorite television series include Arrested Development, Seinfeld, Monk and Regular Show. Though I also have to give my childhood a shout out with Digimon (the first two seasons, the third one killed it for me as a kid). 7: Super Mario RPG was the first RPG I ever played, and still my favorite. 8: I am a frequenter of Disneyland (annual pass holder! ), and know the place like Gollum knows Middle-Earth. My favorite rides at the park include Indiana Jones, Star Tours, and Space Mountain. 9: I’m not one for watching sports, but I do enjoy pro wrestling (don’t laugh). It can get goofy, but the theatrics of it all can provide some great entertainment when it wants. 10: I still consider the SNES to be the greatest video game console of all time. A bigger lineup of all-time classics than any other console, and they haven’t aged a day. 11: Every now and again I like to have a go at some video editing. I’ve even managed to get some money from some of my YouTube idiocy. 1- What is the earliest game you remember playing? 2- What do you think are the three most important aspects of a great game? 3- What are your five favorite TV shows? 4- What are your five favorite movies? 5- What is your favorite color (very important)? 6- Who is your favorite video game character? 7- If you could live in any video game world, which one would it be? 8- What is your favorite video game song/soundtrack? 9- If you were an eccentric millionaire, what would be the first off-the-wall thing you’d do with your wealth? 10- How would you prepare for a zombie apocalypse? 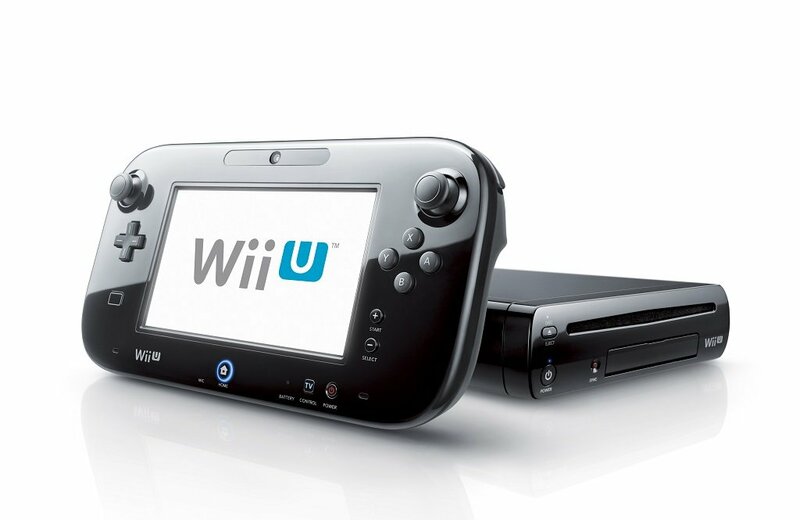 11- Favorite video game console? And well, yeah that’s it. I would also re-nominate NintendoBound but I don’t know the rules on that. An honorary mention anyway. Author themancalledscottPosted on May 4, 2015 May 4, 2015 Categories UncategorizedTags Liebster Award12 Comments on A Liebster Award Winner is Me! From the ashes, the phoenix shall rise. Banjo-Kazooie was one of the most beloved games from the N64 generation, and is one of the handful of games from the console that is still a blast to play today. Banjo the honey bear and Kazooie the backpack-dwelling bird starred in two of the N64’s best games in 1998 and 2000 before falling into obscurity. There was a duo of GameBoy Advance titles in the franchise, but neither of the series’ handheld entries were much to boast about. In 2006, a promising trailer revealed the bear and bird were making a comeback on the Xbox 360. 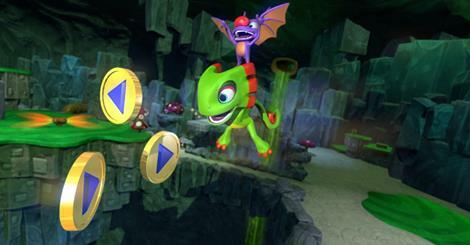 The trailer featured brief snippets of elements from the 3D platforming series. Sprawling platforming environments, shiny collectibles, the whole platformer shebang. It looked so tantalizing that people were forgiving of Banjo and Kazooie’s new character designs. After a few screenshots of the game were released, showing a heavy emphasis on vehicles, gamers wondered if the new Banjo game was some kind of racing spinoff. After a short time, the new game was revealed to be Banjo-Kazooie: Nuts & Bolts, a title that focused on vehicle creation tools and using your created vehicles to complete different tasks. The platforming gameplay of yesteryear was all but abandoned, and poor Kazooie’s presence in Banjo’s backpack now seemed entirely superfluous. Truth be told, you’ll find worse games than Nuts & Bolts out there, but you’ll find very few that are so disappointing. Granted, gamers are a fickle lot, and have a tendency to overreact to the tiniest changes in a series (“Bayonetta’s hair is short?! I refuse to buy this crap!”), but in the case of Nuts & Bolts, the heartbreak was justified. It just didn’t feel like a Banjo-Kazooie game. Perhaps if Banjo-Kazooie had been present throughout the years with multiple titles, the drastic shift wouldn’t have been such a big deal, but this was to be the duo’s big comeback, eight years after their last proper adventure. Not only did Nuts & Bolts remove the platforming gameplay of its predecessors, but the game as a whole had a largely dismissive nature of the genre, taking every opportunity possible to belittle the nature of its own predecessors and their genre. Nuts & Bolts’ attitude towards its lineage was like pouring salt on the wound. Although there are rumblings that Banjo and Kazooie could make a comeback on Xbox One, the damage has been done. In the years following Nuts & Bolts, many of Rare’s employees left the developer. A number of them have since formed a new studio, Playtonic Games. Their mission: to create a spiritual successor to Banjo-Kazooie, and give the series its long-overdue proper follow-up, even if in spirit. Enter Yooka-Laylee. The new brainchild from Playtonic Games that looks to proudly carry the spirit of Banjo-Kazooie for a new generation. Yooka is a chameleon, and Laylee is a bat. Although that odd combination of animals isn’t nearly as inviting as a bear and bird on paper, the developers have stated the selection of animals was inspired by the gameplay possibilities they brought to the table, which makes things a lot more interesting. The chameleon can roll and use his tongue, the bat can fly and use sonar. The sense of whimsy you find when you delve deeper into the concept is the kind of simple charm and imagination that has been held almost solely by Nintendo over the last decade. Yooka-Laylee is created by some of the finest minds of the genre, such as Steve Mayles, the character designer of Rare’s beloved platformers of the past, and composers Grant Kirkhope (of Banjo-Kazooie) and David Wise (of Donkey Kong Country). With such creative minds behind Yooka-Laylee, the game is already looking like a promising continuation of a style of game that has been all but forgotten. 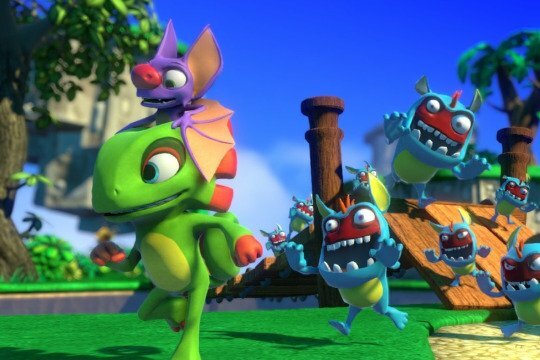 Playtonic sought the aide of Kickstarter to fund Yooka-Laylee, and they reached their goal within forty minutes, proving that there are plenty of gamers out there longing for the “Banjo-Threeie” that was hinted at in the ending of Banjo-Tooie. As of writing this, Yooka-Laylee will have reached all of its subsequent stretch goals within the next couple of hours (less than twenty-four hours after the Kickstarter campaign was started). 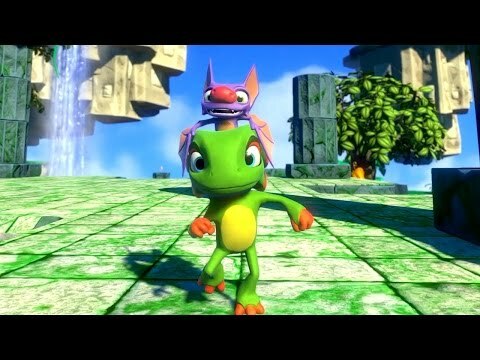 Yooka-Laylee looks to be a labor of love made by some of the finest artists in the industry, who seek to rekindle the magic they once created. The massive support the game has already received is proof enough that something special could be brewing. 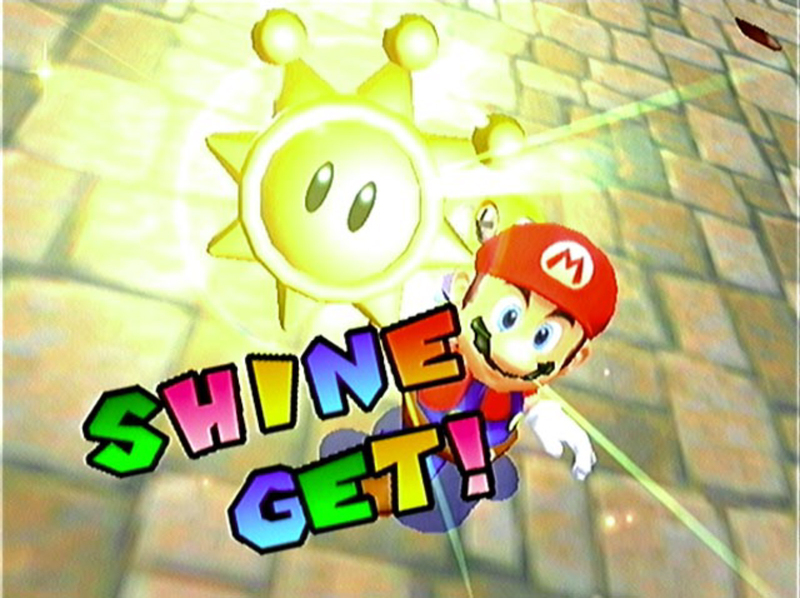 Banjo and Kazooie may have lost their way, but their torch has been passed, and it is shining brightly. Going back to the 1980s, there wasn’t a whole lot of variety in American feature animation. There were the Disney films, and every now and then a smaller animated feature would pop up. 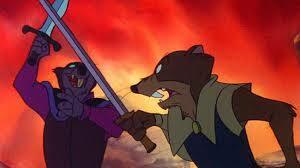 In 1982, one such animated feature was The Secret of NIMH. What was different in this case was that NIMH launched the career of director Don Bluth, who would go on to create a number of “Disney alternatives” during the 80s and 90s. Not all of Don Bluth’s movies have aged gracefully (I would argue that the majority of them are best left to memory) but Secret of NIMH has held up decently, even if it has its share of bumps. The Secret of NIMH tells the story of a field mouse named Mrs. Brisby. Her husband has passed on, leaving her to care for her four children. One of her sons is gravely ill with pneumonia, and is bedridden. This happens at the worst possible time, as the local farmer has began plowing the field, and Mrs. Brisby and her family must leave their home, but her son could die of his illness should he leave his bed. This leads Mrs. Brisby – with the help of an obligatory sidekick in Jeremy the Crow – to search for a different means of moving her family. She seeks the aid of “The Great Owl” who in turn tells her to recruit the help of the “Rats of NIMH,” who are escaped lab rats that have gained human intelligence through experimentation. The rats might have the technology necessary to move Brisby’s home without removing her son from it. It’s actually a pretty interesting setup, and the idea of making the main character of an animated feature a concerned mother is still pretty unique even today. But some problems arise as the movie goes on, as it can never seem to decide on its tone, and an overabundance of characters and story elements hamper an otherwise enjoyable film. The Secret of NIMH seems to have trouble deciding whether it wants to be an adventurous animated film for an adult crowd, or a darker animated feature for children. It was certainly darker than Disney’s movies of the time, with some scary images and brief moments of blood. But it’s never as dark or sophisticated as it would like to be. Nor is it as whimsical as it thinks it is. There are some elements of magic and fantasy randomly sprinkled throughout, and the plot has some charming elements, but they ultimately feel lost in the rest of the film. The Secret of NIMH plays a balancing act with its two tones, but in the end it loses that balance, as neither of these two halves mesh together. It wanted to break new ground for animated features by combining the charming aspects of animation with a more mature narrative, but it was never willing to pull the trigger and fully commit to its unique concept. The story also has more aspects than it knows what to do with. It starts off well enough, as the story of Mrs. Brisby is interesting and she’s an easy character to root for, but as the story keeps adding more and more elements the heart of the story gets lost in all the commotion, and many of these elements end up feeling underdeveloped. 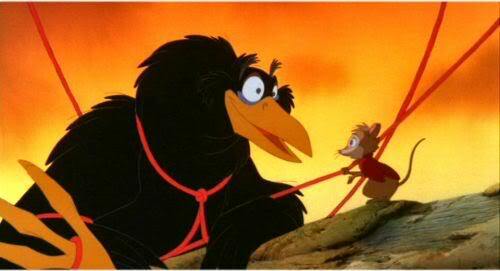 The rats of NIMH, for example, have their own host of characters. The sagely Nicodemus is their leader, Justin is their heroic captain of the guard, and the plotting Jenner serves as the film’s antagonist. Nicodemus gets a fair deal of screen time, but mostly serves to provide backstory and exposition. Justin seems to be built as a potential romantic interest for the widowed Brisby, but it’s a quickly forgotten aspect. And Jenner’s presence in the film is so minor and sporadic it’s not too hard to imagine the film working better if there were no villain. There’s also Jeremy the Crow, whose never-ending quest to find a mate would have probably been better suited for a more lighthearted movie. And the Great Owl, who at first is built as an important character, is quickly forgotten. Despite these fallbacks, The Secret of NIMH is ultimately more good than bad: Its visuals rivaled any Disney movie of the time, with detailed character animation and backgrounds. It has an interesting premise that, in its more focused moments, tells a good story. And Mrs. Brisby makes for a good (if maybe not complex) main character. 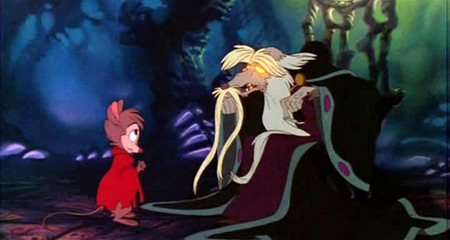 The Secret of NIMH has earned a reputation over the years as a cult classic. Although it doesn’t quite live up to that reputation due to its fluctuating narrative and too many unmemorable characters, it still provides a fun, unique, visually striking animated film that has aged much better than most of Don Bluth’s filmography. With Marvel’s The Avengers: Age of Ultron upon us – bringing an end to “Phase Two” of the Marvel Cinematic Universe in the process – I figured now is a good time to compile a top ten list of the currently released movies of the Marvel Cinematic Universe. Here’s my ranking of the ten movies from the Marvel Cinematic Universe’s phases one and two from least to greatest. Here they are.